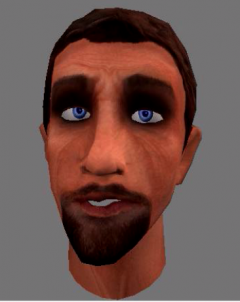 The Interactive Facial Animation – Comprehensive Environment (iFACE) project aims at developing emotional personality-rich agents with support for realistic or stylized facial animation to interact intelligently with users. This project is an extension of the iFACE project to full body motion. By defining primary themes (basic actions) and secondary themes (personalized characteristics like age, gender, energy, mood, etc) for motion, we study how these theme can be modeled and how new animations can be procedurally created for new personal characteristics. In collaborative activities, shared artefacts can play an important role by representing state, showing progress, and suggesting possibilities for action. We are exploring software for large-scale multitouch displays to support collaboration in this way. In particular, we are studying collaborative processes in software development, and designing new display systems to help. This project aims at understanding how and why people interact with 3D Virtual Environments (3DVEs). The work involves studying the user requirements, adoption, interface methods, and use cases. We hope to find what applications suit 3DVEs better and how 3DVEs can be improved to match the user needs. Computer security means security for people, yet the human factors involved are poorly understood. Indeed, human behaviour, its strengths and weaknesses, are too often better understood by cyberspace attackers than by secure system designers. We need to change that, and use knowledge of human and social behaviour to design better, safer, and more secure systems. We will conduct studies of theory and apply them to on-line security challenges. Living life online involves managing work, play, resources, and identities. Controlling all this requires secure access, and that requires authentication, typically with passwords. Can we make authentication easier yet stronger? We will design new systems based on human factors, implement them on the web and on mobile devices, and evaluate them in the lab and in the field. New media now involves environments in which we represent ourselves and live our lives, from blogs and Facebook to online games and virtual worlds. These environments change our understanding of privacy and security, and yet those ideas remain important. How can we adapt our understanding and tools for privacy and security most effectively? How can we persuade, encourage, and support affective learning? We are building trial systems and conducting studies to find out. Administration and management of the security of computer systems and networks is challenging work, requiring ongoing monitoring, together with rapid analysis and response to attacks. Designing tools to help security administrators is difficult because of the adaptability of attackers and automated nature of attacks. We are exploring large scale information visualization systems to help. A user interface is to be designed for a navigation system enabling route options to be displayed. We are starting to discuss cooperation with industry. An NDA would have to be signed. Programming experience on small devices is a requirement. 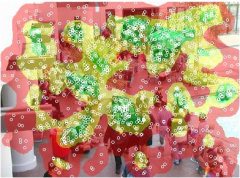 Students must also be knowledgeable in algorithms’ design for shortest path-related problems.